BRYAN EATON/Staff photo. Amesbury firefighters cooked breakfast for veterans at the Amesbury Senior Center on Wednesday. 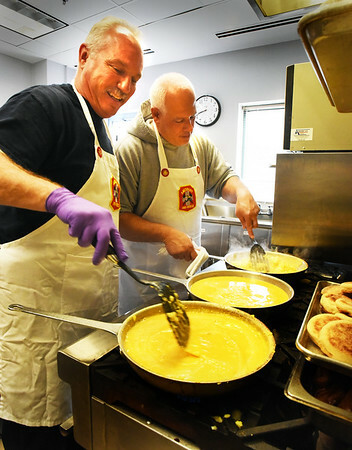 Whipping up scrambled eggs were Deputy Chief Jim Nolan and John Kane.